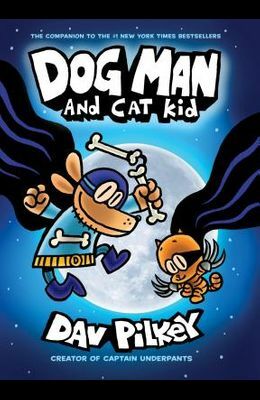 In his fourth adventure, Dog Man, star of Pilkey's #1 New York Times -bestselling series, now has a furry feline sidekick. When a new kitty sitter arrives and a glamorous movie starlet goes missing, it's up to Dog Man and Cat Kid to save the day! 5 1/2 x 8 5/16.